Harlequin Clown Bodypaint – Leisl as my beautiful model! On Saturday 8th March I drove to Portishead to meet up with around 20 other body painters to join in a Jam. Musicians jam together making music, frequently made up at the time and face and body painters do the same! More often we have a design in our heads, or even sketched out on paper and then we just wing it. Wendy Fantasia is a brilliant face painter and recently came over from Australia to attend the latest FACE conference held in Milton Keynes, UK. I managed to persuade her to extend her stay to come with us to Bristol and show us her skills… she did not disappoint! Following the Paradise Jam I went up to Showzam in Blackpool and was put on stage to do a demonstration of a Glitter Tattoo as well as some face painting designs. Showzam was a fantastic event sponsored by the Pleasure Beach who provided a £200 prize for the winning face in the competition! I was lucky enough to win that last year! 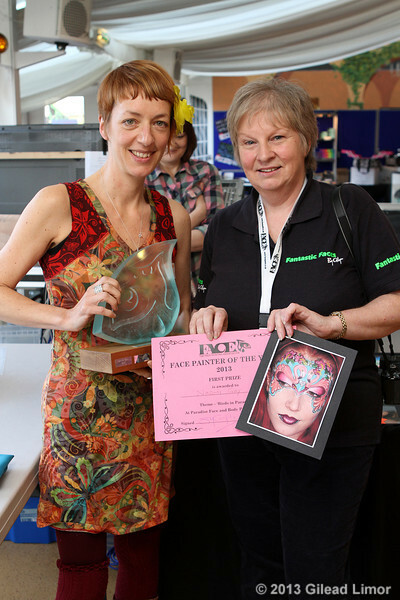 Following that was a successful weekend at the FACE (the International Face Painting Association) conference. More news to follow! But do have a look at their new website www.facepaintingassociation.com – all sparkly, bright and new! Today, I’ve been trying to wrap up the details for the huge Façade Academy Paradise Jam that I am coordinating. It will be held on 17 February. I realised today that the first one I held was in 2009 – so this is the 6th! 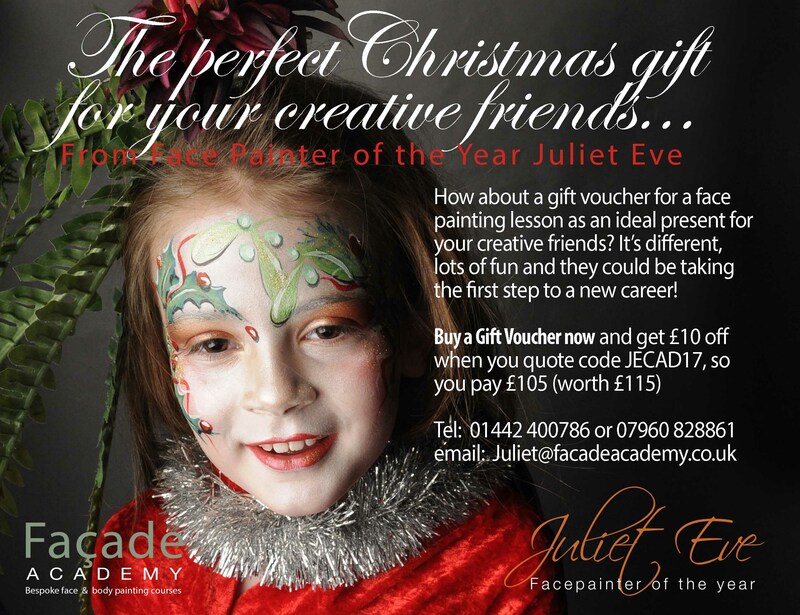 I can hardly believe that it is probably the biggest gathering of face and body painters in the country! We have around 130 names signed up, plus each person brings along up to 3 guests. Some of these are painters, and some children/partners/grandparents and other hangers-on. 🙂 It is the most fantastic atmosphere! Here are some photos from last year. We will have face painting demonstrations, live body painting, nail art, balloon twisting, glitter tattoos, henna, hair braiding and many more activities. Everyone gets their paints out, walks round, chats to others, shows off their latest paints, one strokes, brushes or sponges. There are many traders selling paint, prosthetics, balloons, brushes, henna etc etc! there will be childrens’ entertainment and also Festival Sticker Art. Heaven on a stick for any face painter! From midday the visitors to the zoo are welcomed into the Marquee and can be painted for £5 – proceeds go to the zoo charity. Looking through my files, it also dawned on me that this will be the 8th year that I will be painting at Paradise Wildlife Park. I urge you to visit it. www.pwpark.com They have the most beautiful collection of big cats. White lions, tigers, cheetahs, Amur leopards, snow leopards and lots of smaller cats. They are committed to a breeding programme with many of the endangered species. It is a wonderful place for young children as it is not too big so they can manage to get round and get really close to the animals! There are lots of indoor soft play areas, outdoor adventure playgrounds and a splash park for the summer. You can really engage in the life of these magnificent animals by taking part in a Big Cat Experience.